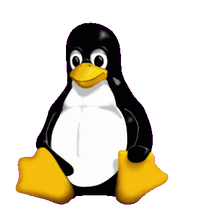 Linux is, in my opinion, the best operating system anywhere for servers, desktops and laptops. It may be the best for other applications, like PDA's, cell phones, etc. but not all the time. UNIX is, of course the best type of operating system for servers, and when building a server, which UNIX-like operating system you choose is really up to you. They are all pretty similar in this environment, and your choice will most likely be dictated by things like the application set, support contracts, hardware, etc. Linux is terrific as a server operating system, I've got it running on many. However, Free BSD, Open BSD, Net BSD, Solaris, AIX and Irix all are terrific, and have their place. However, until Linux, the UNIXes have almost entirely been relegated to the server domain. It's been Linux that really brought UNIX to the desktops and laptops. Linux's support of the various hardware is unbeliveable, and the application set, just in the last few years, has evolved to the state that is really does rival any other platform. I havn't had to resort to a Windows machine to do work in years. Applications like Emacs, SSH, Mozilla, Evolution, Open Office and The Gimp do absolutely everything I need. Matt Bell (2002-09-19): What about UT and other FPS games? Erik (2002-09-19): You're right. You got me on that one. Linux still lags far behind in the game application arena. It's not without hope though, UT 2003 is already out as a demo for Linux, released at the same time as the windows demo.